“I can't even describe how happy and excited I am for this new era! It feels so amazing to be a part of this great group of smart, hard working and really talented musicians. I felt so welcome from the very first minute during the photo shoot that I wasn't even sure if I was a new member or if we had been playing together for a few years. I could feel the chemistry already. It was like the perfect balance of espresso and milk in a good hot cappuccino, hahaha! When I first met Rich, he introduced me to Power Quest and I must say that I got stuck with the Blood Alliance album for many months, so when Steve contacted me about the guitarist's position some weeks ago, I felt that it was a straight "YES" before we even talked about the rest of the band's obligations. I am really looking forward to hitting the road and the studio with my mates and deliver some high quality power metal to all of our friends/fans for many years to come! 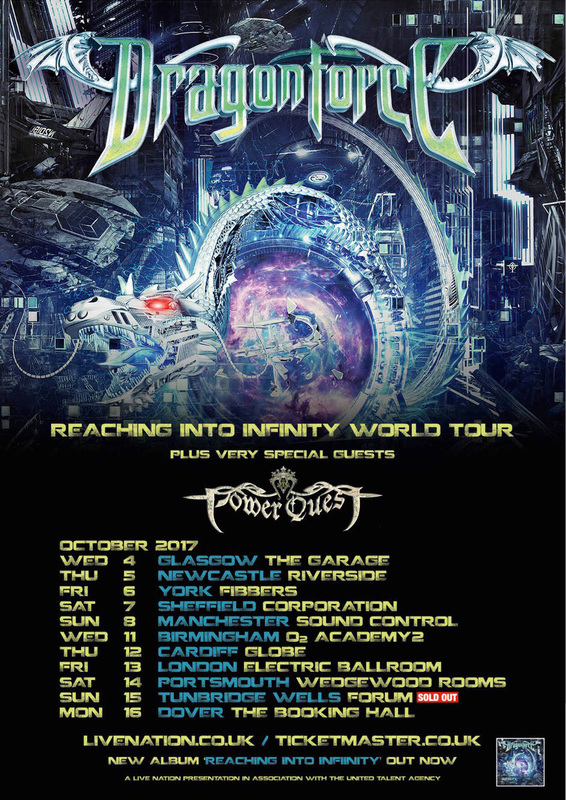 The Quest just started for me, see you all soon \m/"
Oct 12 Globe, Cardiff UK - SOLD OUT! Oct 15 Forum, Tunbridge Wells UK - SOLD OUT! The album will be available in standard jewel case CD, limited edition digibook and also limited edition vinyl. The standard jewel case CD edition is available for pre-order via the links below.